I’m changing planes in Phoenix. The number of people here is stunning. I think it is busier than Dallas. Coming here first class was a treat. I inquired if there was the possibility of an upgrade for the next leg, to Indianapolis. I am number 15 on the list for an upgrade. There are 12 seats in first class. I am not hopeful. Airports are always good for people watching. 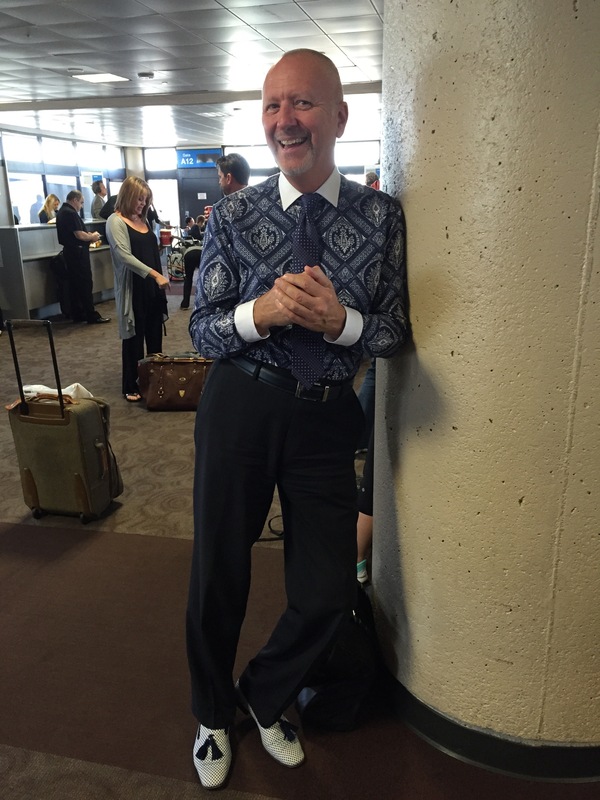 Here is my entry for the snappy dresser of the day, waiting for the same plane I am. The next flight is already 30 minutes late. Travel is an adventure. The shoes just *make* his outfit! !